In “Discover: ELS/St. Paul” students and staff speak about the safe and family-like environment at ELS/St. Paul and the University of St. Thomas – Minnesota. ELS/St. 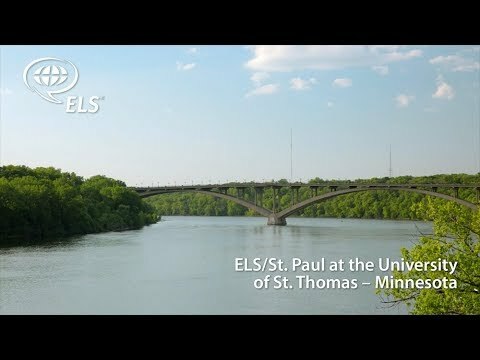 Paul is situated on the picturesque University of St. Thomas – Minnesota campus, located on the Mississippi River waterfront between St. Paul and Minneapolis. In their free time, students can visit Minneapolis and St. Paul’s art galleries and museums, attend musical performances, and experience outdoor sights and activities such as waterfalls, lakes, and parks with trails. ELS/St. Paul students learn from teachers who like to “encourage you to achieve your goals” while at the Center. The University of St. Thomas – Minnesota is the state’s largest independent college or university and enrolls over 10,000 students from the U.S.A and over 400 students from 65 countries, representing every continent. The university holds classes in both the residential area of St. Paul and the downtown campus of Minneapolis, giving students the ability to explore two campus locations and activities and opportunities at both campuses. Learn more about ELS/St. Paul! Learn more about the University of St. Thomas – Minnesota.